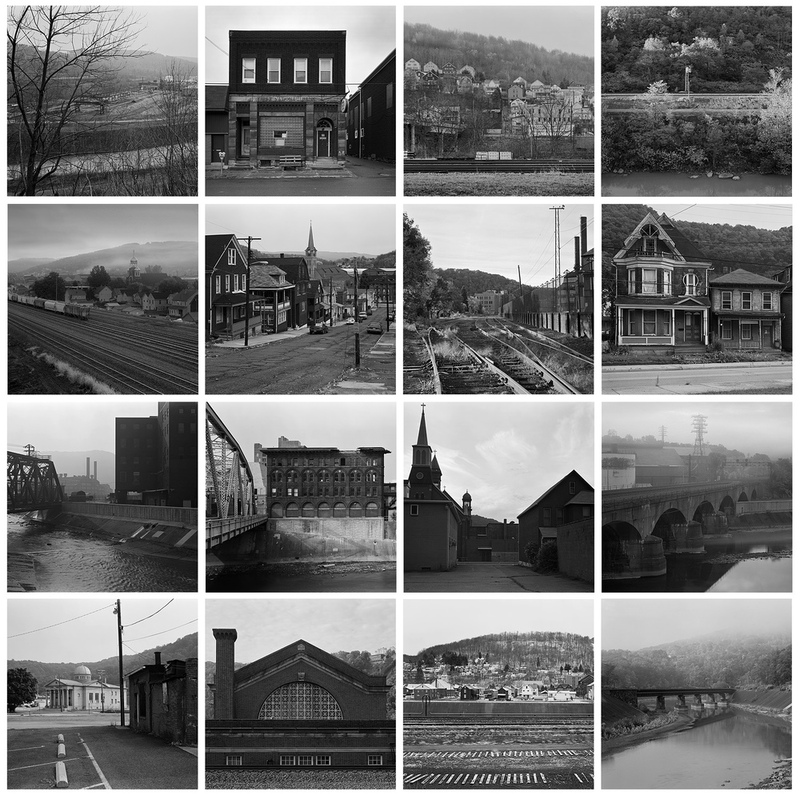 Johnstown, Pennsylvania is a town dear to me, through my travels photographing the Mainline Series, the location was key to other areas that lacked amenities, central to the railroad's Western ascent of the Alleghenies, and home to some amazing people, landscapes, architecture, and history. Beginning in the 1850’s with Cambria Iron works, the area flourished, with the steel works growing and changing, the facilities eventually became part of the Bethlehem Steel Company. In early times, tragedy in the way of the Great Flood of 1889 struck, taking over an estimated 2200 lives, with almost 1000 more missing. Subsequent floods in 1936 and 1972 necessitated additional flood walls and engineered river channels to prevent the loss of life and property that devastated Johnstown at an early age. Later, in the 20th Century tragedy would come in other ways, mainly the collapse of domestic steel production. In the early 1970’s employment was holding steady at approximately 11,800 employees. Ten years later compounded by environmental regulations, a location that couldn’t compete with the inter-modal transport Pittsburgh and Burns Harbor was privileged to, and damage incurred from the Flood of 1977; employment plummeted to 2100 workers in 1982. As time progressed some facilities have been re-purposed, others survived only later to be shuttered. While much of the Steel Production is gone the City has embraced re-invention moving forward into the 21st Century. Over the three plus years traveling the Mainline from Harrisburg to Pittsburgh I stayed in Johnstown many times, through out the various seasons. It allowed me time to become aquatinted with the area and photograph in the surrounding landscape more than many other places. While Altoona, Pittsburgh, and the Harrisburg areas have plenty to offer, for me, Johnstown is a particularly special place. Though the steel industry at large has been absent from Johnstown for quite some time, the resilient people have moved on, adapted and are moving forward to bring more business and tourism to the area. Small boroughs, beautiful and unique architecture and a sense of small town life are things that really attracted me to the area, not to mention the history and railroad! Over the next two months we will examine the region and its relationship to the former PRR Mainline moving from East to West, establishing a larger view of not just the trains, but the greater landscape that thrived around it.